My mom was boiling some spicy Asian sausages the other day. Instead of dumping the broth down to the drain, I asked her to turn up the heat and reduce the broth for a little bit. This flavorful liquid can further be utilized as stock base for soup noodles or in this case, risotto. The broth left after making crab boil also works well for this recipe. The main idea for this recipe is to utilize any flavored leftover broth from other dishes such as boiled sausages and crab boil. Any leftover Chinese style chicken soup works just as well even though with certain degrees of spiciness is preferred. Cook the sausages, steam, boil, or pan-sear, either way works fine. Once cool down, slice the sausages diagonally then set aside for later use. Save any drippings (if any) and add to the broth also. Extra flavor is always welcomed. Use a non-stick pot, add in one tablespoon of oil and one tablespoon of unsalted butter. Turn to medium heat and wait till the butter starts to melt. 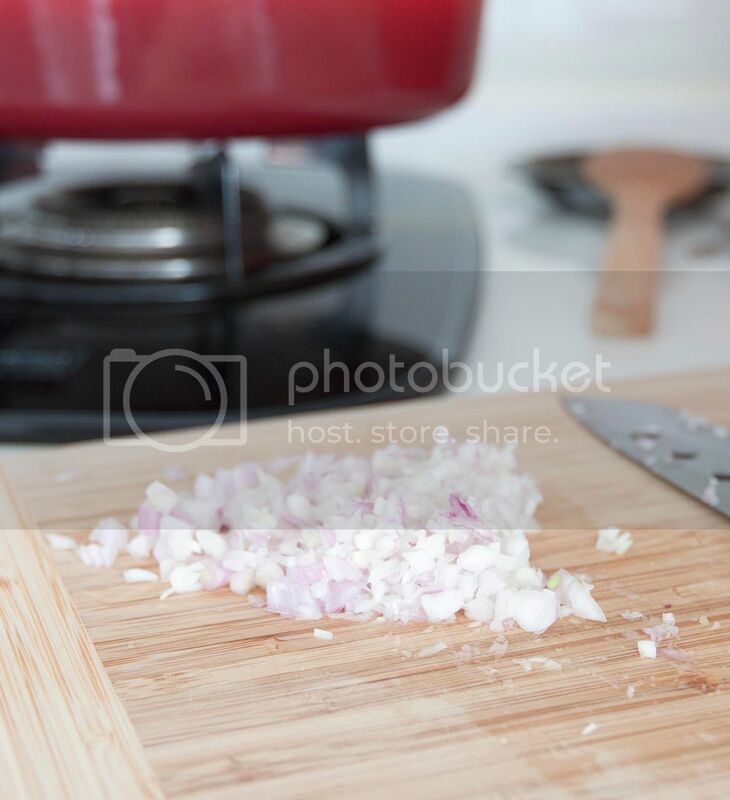 Add in chopped shallots and one teaspoon of salt. Give it a quick stir and cook till the shallots turn translucent. Pour in dry white wine towards the end and keep cooking. Adjust the texture with more broth if needed. 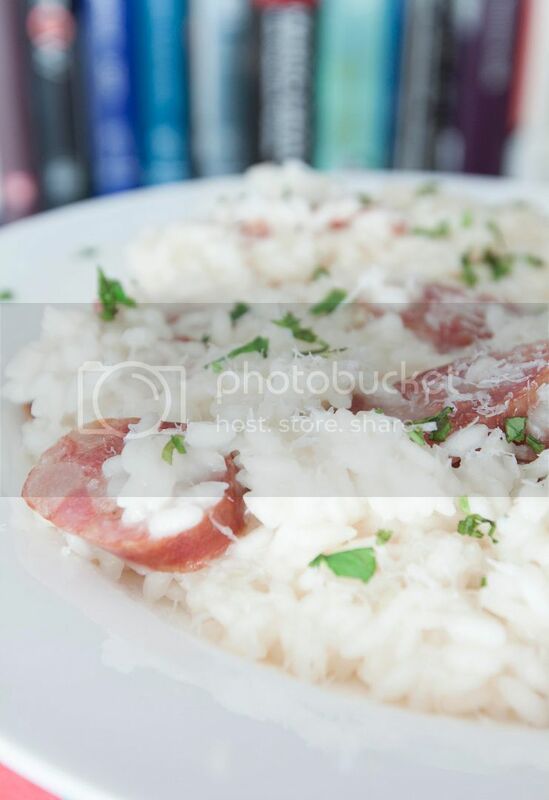 When the rice is about ready, mix in sausage slices. Taste and see if more salt is needed. Remember that grated cheese is fairly salty so don't go overboard with the amount of salt here. 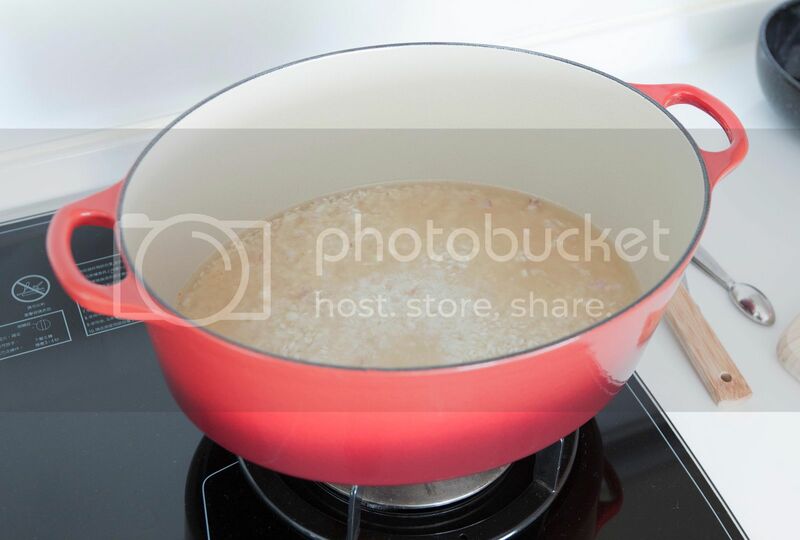 Transfer the risotto onto a serving plate. Grate generous amount of Parmigiano Reggiano all over and garnish with chopped cilantro or flat leaf parsley. Try to use quality aged Parmigiano Reggiano if you can get a hold of it. It definitely got more depth in turns of flavor and saltiness. 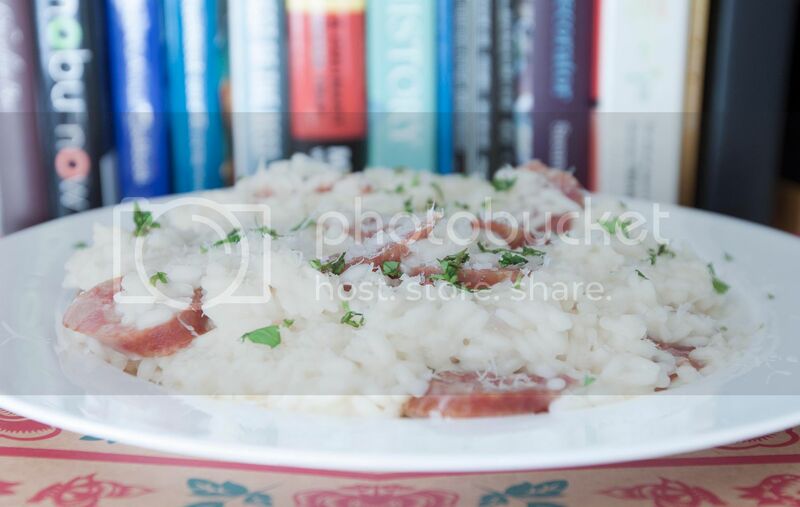 A high quality ingredient can totally make a big difference, especially for such a simple risotto recipe.